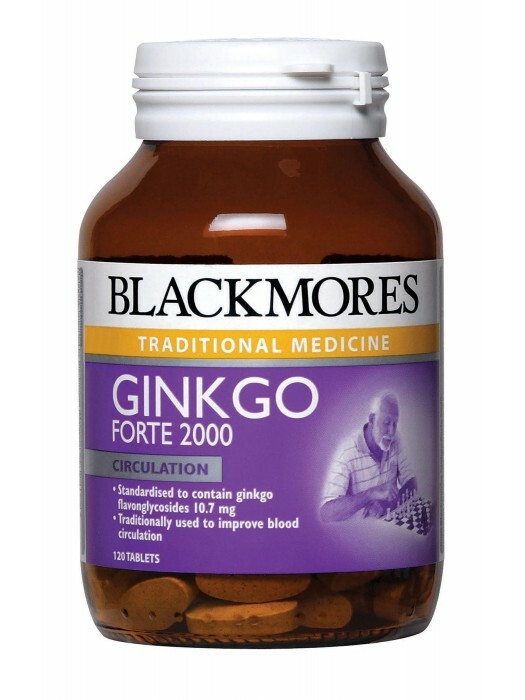 Blackmores Ginkgo Forte 2000 contains a standardized extract of Ginkgo biloba, which has traditionally been used to improve blood circulation. Ginkgo Forte 2000 is ideal for older people. Ginkgo increases blood flow and so can increase tissue nutrition. It tones and helps normalize circulation as it has a relaxing (vasodilating) effect on arteries and a toning effect on veins. Ginkgo increases the fluidity of blood and in this way may improve peripheral circulation. Improving circulation can enhance the utilization of oxygen and glucose by the body.